Scientific programme organiser for the Sun Protection, Anti-Ageing and International Skin Protection Conferences. Jack Ferguson obtained a BSc honours degree in Biology with Chemistry and a PhD in Bioengineering, both from Strathclyde University, Glasgow. He has worked in the cosmetics industry for over 20 years. After spending some time with Beecham Products in Leatherhead, he moved to the Boots Company in Nottingham, where he worked for 15 years. His final responsibilities were as Head of R&D Services, Boots Contract Manufacturing. During his time there he was joint developer and promoter of the Boots UVA star rating system. From Boots, Jack moved to Oriflame International, Dublin, and was R&D Director there for five years, before leaving in 2000 to set up a new company, Skinnovation Ltd. Skinnovation provide contract product development services for clients and focus on sun and skin care products and also on product claims support for advertising. Jack also works as cosmetics consultant for ITV, providing technical and scientific advice on claims support for television scripts in advance of broadcasting. He has been active in the Cosmetic Trade associations, particularly in the sun care area, and was the chairman of the Colipa ‘Sun Protection Measurement' TF 1990-1998 and chairman at the time the Colipa SPF test was developed and published. How harmful is blue light and how can its effects be measured? Stephan Bielfeldt has more than twenty-five years of working experience in the field of skin research. From 2001 until 2017 he was the Director Research and CTO and become 2018 Vice President and Director of Science & Innovation at proDERM Institute for Applied Dermatological Research. As the head of the research department he leads a team of scientists that perform applied in vivo and in vitro research studies in the field of cosmetics, food supplements and consumer products. His specific expertise comprises claims support studies. Stephan is further a specialist in the field of photobiological studies. As the head of the technical department Stephan leads a team of scientists and engineers who develop in vivo and biophysical test methods. He is member in two societies dedicated to scientific cosmetology and has published a large amount of scientific papers mainly in the field of in vivo skin research methods and claims support. pigmentation and further a depletion of the skin’s own antioxidants. These effects allow a measurement of blue light protection of cosmetic products. We present in vivo methods that assess dose-dependent effects of blue light and quantify the efficacy of cosmetic products with blue light filtering actives as well as for antioxidants. 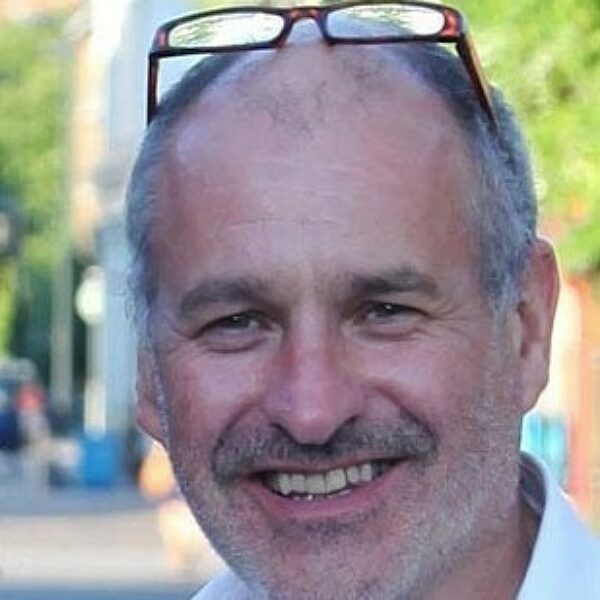 Mark Birch-Machin, PhD, is Professor of Molecular Dermatology at Newcastle University (UK), Institute of Cellular Medicine, Associate Dean of Business Development for the Faculty of Medical Sciences and Faculty Ambassador for the National Innovation Centre for Ageing. He previously worked at Universities in Oregon, Paris and Toronto. He is a member of the Editorial Board of several international dermatology journals, and national/international advisory boards (including cosmetic companies) and grant committees for skin research and UK cosmetic regulation. His research group focuses on the response of human skin to the environment, particularly within the context of skin ageing and has been funded over the last 30 years by UK research councils, charities, UK government as well as global companies. He has played a pivotal role in pioneering the use of mitochondrial DNA as a biomarker of sun damage in skin. He has an interest in understanding the role of mitochondria in UV and environmental-induced oxidative stress, skin cancer and the relationship between oxidative stress, nutritional status, pigmentation and skin aging as well as the science and use of sunscreens. He has published extensively including 3 different nature journals. He has co-founded two spin out companies (Canadian and UK) and is also a co-inventor on multiple patents including the invention of a dermatology product that sold in over a 1,000 stores in Canada. He has a long established track record of working with international media for more than 20 years. I have worked for 15 years in the cosmetics industry (including 2003 to 2012 for Procter and Gamble and more recently with GSK, and since 2012 as a consultant), in fields ranging from new product research with novel materials through to developing and running clinical studies to provide claims support data for product launches. Even in a corporate environment I worked across multiple project areas at any one time to translate the needs of the individual teams into executable study designs and plans. Research areas worked on include moisturisers, cleansers, and hair removal methods (shaving, waxing, epilation, depilatory creams, light based hair removal). Photography has always been a passion of mine, and a focus area for my research is UV imaging, and how it can be used to visualise skin and sunscreens. UV imaging is extremely challenging, with a unique set of complexities, and my research often requires me to build equipment to help with my work where nothing suitable is commercially available. I have a very hands on approach to science and am experienced with the operation and use of a wide range of skin testing equipment including Corneometer, Sebumeter, TEWL, Colourimetry, Confocal In vivo Raman Spectroscopy (for hydration profiles and ingredient penetration), Photographic Imaging techniques, skin grading, tape stripping and SEM, and clinical test design. After building my expertise in the skin methods field I also became more involved with teaching the science of skin measurement, to audiences from Dermatologists to Journalists and Marketing groups. I am also strongly linked with Academic research, having overseen a number of projects with different universities. I have authored over 30 papers and book chapters, with an emphasis on skin measurement. I graduated from Durham University with a BSc in Chemistry in 1994, and went on to do a PhD in Surface Modification and Analysis which I completed in 1997, and loved the research so much that I stayed on for an extra 3 years as a Post Doctoral research assistant. During this time I developed a strong Analytical chemistry background with a wide variety of surface analytical techniques (XPS, Auger, ToF SIMS, Raman, ATR-IR, SEM and TEM, AFM) for materials analysis, along with cold plasma treatment of materials for the manufacture of metal surfaces and ultra low energy materials. It is the cross discipline background I have from working at the boundaries between chemistry, physics and engineering, which I have now applied to my assessment of skin. I apply a strongly analytical approach to my work, and am known for being open and impartial and working with the highest integrity. I’m also a scientist through and through, and am driven to question and understand how the world works. Creating compelling visuals is vital when educating consumers about the importance of sun protection. From where and how to apply the products, to how long they last, and the degree of protection they can offer, strong and simple messages are key to successful communication. UV photography provides the means to directly image sunscreens, however the technique presents some unique and complex challenges. This talk will cover how UV photography can be used to visualise sunscreens, and areas for researchers to consider when using the technique. The talk will also cover different approaches, including reflectance and fluorescence imaging, cross polarization to eliminate shine, deriving quantitative information on sunscreen behaviour from images, and the role that smartphone technology can play in ensuring the consumer has everything they need to help keep them safe in the sun. Brian Diffey is Emeritus Professor in Dermatological Sciences at the University of Newcastle. His career was spent in the NHS, where he was Professor of Medical Physics and Clinical Director in the Newcastle Hospitals. His involvement with sun protection has spanned almost half a century and his interests include the measurement of personal sun exposure, its effects in normal and diseased skin, and ways to minimise excessive exposure, especially through the use of topical sunscreens. He has advised a number of bodies on sun exposure and skin health including the World Health Organization, Department of Health, and the Cancer Research UK SunSmart programme, as well as patient support groups concerned with sun-related diseases such as vitiligo and xeroderma pigmentosum. He invented both the UVA Star Rating for sunscreens in conjunction with Boots in the UK, and the Critical Wavelength adopted by the Food & Drug Administration in the USA as the sole measure of broad spectrum protection. In 1999 he was awarded the Medal of the Society of Cosmetic Scientists for his contributions to suncare, and in 2011 was honoured at the International Sun Protection Conference for significant innovation in the field of photoprotection. He is an honorary member of the British Association of Dermatologists, the Swedish Society for Dermatology and Venereology, and the European Society for Photodermatology. photochemistry, cellular and molecular biology through to epidemiology, dermatology and pathology. The risk of adverse effects on skin is dependent on the nature and level of exposure to the hazard. Only if exposure is of sufficient magnitude will harm result, and interventions such as sunscreen be used, to reduce the likelihood of harm. This presentation will discuss why it is unsafe to develop an intervention without due regard to the level of exposure or the extent of putative harm, and why this approach could undermine the integrity of the sunscreen industry. Christiane Hanay, is a proven expert in sun care, skin care and natural cosmetics. She received a PhD in Organic and Bioorganic Chemistry from Humboldt University, Berlin, in 1998. Christiane has over 20 years of in-depth interdisciplinary technical and management experience at senior levels in R&D management for international companies. Her key research & development interests comprise product development, packaging, active ingredients, fragrance development and scientific information & regulatory affairs. After setting up natural cosmetics skin care as a new business field for a Swiss pharmaceutical company, Christiane founded SkinXpert CH GmbH. There she uses her proven expertise for contract development, transforming innovative technologies into novel, marketable solutions in an adequate time-to market. SkinXpert CH GmbH independently develops and advises on the creation of innovations for cosmetic and pharmaceutical organizations combining high end know how with fundamental experience to bring significant benefit to the consumer. Christiane is a member of the Task Force Sun Protection of the German Society of Cosmetic Chemists and member of the Swiss Society of Cosmetic Chemists. Marketing activities for sun protection products abound, however the consumer perceives few products as being outstanding. A survey on sun protective behaviour of vacationers spending holidays in the tropics and subtropics showed that among the returning air passengers, 44% had got sunburnt during their holiday stay. Consumers also show an increasing concern regarding potential critical issues, leading to rising demands of formula claims such as PEG-free, preservative-free, without silicones, mineral oil or free of microplastics. On the other hand, the consumer would not accept a formulation that is not stable or does not excel at its sensory and protection properties, and would thus not repurchase such a product. Modern sun care formulations will become more complex as they will have to comply with spectral homeostasis and blue light protection and possibly additional protection against IR-A irradiation. Each of these and the free-from claims mentioned above has an impact on the entire formulation system. To make things even more complicated, regulatory frameworks vary from region to region and a number of certain important UV filters have come into discredit, making their actual use virtually impossible. Their replacement has consequences on the efficacy, quality, costs and sensory profile of the product. In the past, many individual solutions or ingredients have been presented to improve the sunscreen performance. However, it is usually not a single ingredient that offers a general improvement of the product performance. Sunscreen development requires an understanding of all interactions within the formulation. In order to increase the degree of formulation freedom it is advisable, e.g. to use a combination of efficient UV-filters. This allows for more flexibility in the selection of other formulation ingredients. Even if this makes the formulation more complex, we have to face this challenge in order to develop efficient and popular products. This talk presents strategies on how to translate the diverse requirements into convincing products that will help decreasing the number of sunburnt vacationers. Bernd Herzog is currently the Head of Global Development UV Protection and Scientific Liaisons in the Care Chemicals Operating Unit of BASF. 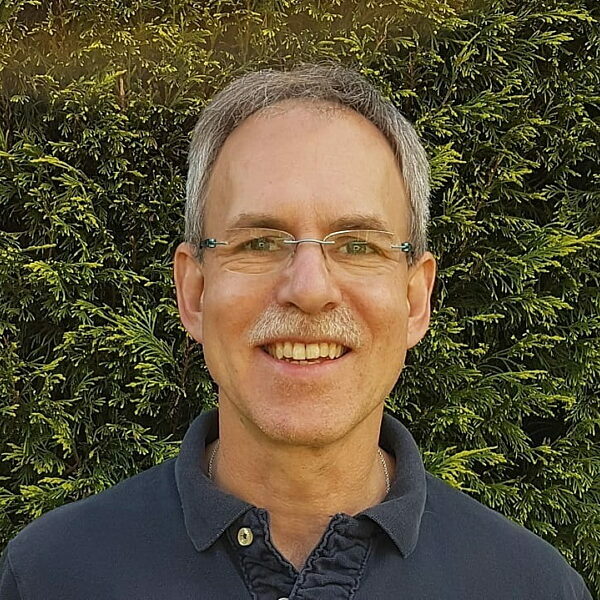 Bernd was trained in Biochemistry and Physical Chemistry at the Universities of Göttingen (Germany) and Bristol (UK), and started his industrial career in 1989 at Ciba-Geigy AG in Basel (Switzerland) in R&D of colloidal systems. He has worked on the development of UV-absorbers for sunscreens since 1992 and has been with with BASF Grenzach GmbH (Germany) since 2009. 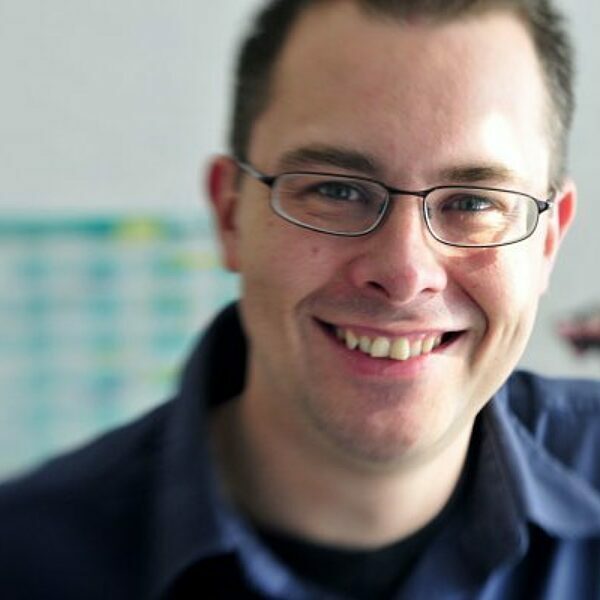 He is appointed Adjunct Associate Professor at the Department of Pharmaceutical Sciences of the University of Basel, where he lectures Pharmaceutical Technology and Physical Chemistry. Sunscreens are cosmetic or dermatological preparations for the protection of human skin against harmful effects of solar radiation. The key ingredients of sunscreens are UV absorbers. No protection would be possible without such substances. But the formulation of the sunscreen preparation is of equal importance as it comprises the vehicle by which the UV absorbers are brought onto the skin. When applying a sunscreen preparation on the skin, a film builds up, the structure of which depends on the type of the formulation. The more regular this film turns out to be, the better the protection will be. Sunscreen films on pig skin substrates were investigated with a profilometric technique based on confocal microscopy using the focal aberration principle. In that way distributions of the film heights of sunscreen films were obtained. Such distributions could be fitted with a Gamma distribution model. With that, using the spectral properties and amounts of the UV absorber composition, the overall film transmittance was calculated and the sun protection factor (SPF) simulated. The results showed good agreement with in vitro SPF data based on direct measurements of UV transmittance of the corresponding pig skin samples with the sunscreens applied. Different types of formulations were looked at. The best efficacy showed w/o-emulsions, the least clear alcoholic sprays. The calculation of SPF from film thickness distributions implies the validity of the Beer-Lambert law, at least for small increments of the film where a constant thickness is approximately given. As concentrations of UV absorbers in sunscreens can be quite high, dipole interactions may occur between them which could cause deviations from the Beer-Lambert law. However, it is shown that the law still applies for the high concentrations of UV absorbers present in sunscreens. This is in line with the good agreement of in vitro SPF results and SPF values simulated from film thickness distributions. Paul joined Procter & Gamble 1988 and has spent the majority of his career in R&D conducting research and developing methods to feed the technology pipelines of brands such as Olay, Max Factor, Dolce & Gabbana, SKII, and others. As Research Fellow, he has specific expertise in measurement / modelling of many aspects of skin structure, function and appearance, sun protection and the psychology of perception of skin, among other areas. He is Visiting Professor to the London College of Fashion and University College London School of Pharmacy and the Chair of the Cosmetics Europe (European Trade Association) Expert Team: Regulatory Aspects of Sun Protection and a Fellow of the Royal Society of the Arts and Royal Society of Chemistry. He is a proponent of Community Dermatology and involved in and highly passionate about several projects in Africa related to skin disease and its prevention / treatment using low-cost, sustainable materials. Paul is married with three children and, when he has time, a fanatic UK SCUBA diver and BSAC instructor. Just as we are congratulating ourselves about addressing protection from radiation in the ultra-violet waveband, some are now calling for protection from other wavelengths. Could exposure to visible light, infrared radiation, micro-waves or radio-waves also be causing acute or chronic skin damage? If so, is it truly of clinical or consumer significance? This presentation will discuss and weigh the evidence and comment on ways forward in this emerging area of research. Alternative SPF Methods - How do we know they work? Uli Osterwalder studied Chemical Engineering at ETH Zurich, Switzerland and at the University of Houston in Houston, Texas. He joined Ciba-Geigy in Basel in 1979 where he first developed a Phosgene Generator in central process development. Later he developed his leadership skills in Project Management and Process Analytics. At Ciba Specialty Chemicals Uli Osterwalder helped establish new business development in Fabric Care and Personal Care. After the acquisition by BASF SE he became Senior Marketing Manager and Scientific Adviser in Sun Care in Ludwigshafen and Duesseldorf. In 2016 Uli Osterwalder came back to Basel, working for DSM as senior Senior Scientific Adviser suncare for two years. In 2018 he started his own company, Sun Protection Facilitator GmbH and is committed to contribute to further improvements in sun protection. Uli Osterwalder works for ISO on the development of new UV protection assessment methods and is author and co-author of numerous scientific articles and book chapters on sun protection. products fail in in-vitro tests. Graduated in M2 from I.P.I.M, Industrial Pharmacy of Montpellier (France) in 1989, option Cosmetology, Pascale Piquemal started in L’Oréal by a training in Evaluation Department on the influence of the formulation in the safety of eye make-up removers and serums. She was hired in the beginning of 1990 and spent all her career in L’Oréal, starting as a Study Director in charge of pharmacological studies of new active ingredients (whitening, free anti-radicals, anti-inflammatory, moisturizers, acne, …), then as a Group Manager of whitening products and skincare photoprotection evaluation. In 2007, she also took the responsibility of Sun Products ‘evaluation and a few years later, of the make-up photoprotection category. Since 2017, as leader of the International Photoprotection Community, Pascale works on Group strategy, vision and quality in connection with international Hubs. The Sun Protection Factor (SPF) is an international reference to express the protection from UVB rays. It is used for labelling purposes to helping consumers on the appropriate choice for protection. Although the SPF determination is performed through a standardized in vivo method, variability in results can be encountered. The aim of the presentation is to describe the quality process put in place to develop with our partners a high collaborative work in order to get the sincerest and most reliable SPF. Since high level of quality is required and Sun protection is public health domain, we set up and developed a process of selection and validation of a new CRO to integrate a CROs core list. A “Sun Barometer” of CROs is then deployed and updated regularly thanks to regular monitoring done on CROs of the core list. In the context of harmonization process within L’Oréal Group, an international Photoprotection Community was created in order to be aligned on a strategy with global rules and universal measurement following an objective of quality and sincerity of claims. All the work done on quality allows us to be a source of proposals within the ISO and Cosmetics Europe association. This quality guidance put in place by L’Oréal, in partnership with our partners, allows us to enhance reliability of the SPF in order to avoid any consumer health risk by claiming sincere SPF. Marc Pissavini is a chemist Ph.D. He started his career in the cosmetic industry in the field of Analytical chemistry in 1997. Quickly (1998), he’s joined the Sun Research Department of Coty-Lancaster Group. Since 2008 hes been the Director of the Basic & Applied Research, specialised in In Vitro spectroscopy and in the study of the roughness of supports. He has a Ph.D, participates to elaboration of publications, norms and conferences which innovate in this field knowledge. As an active actor on the subject, he also participates on different task forces and at different groups of specialists and industries as AFNOR, or FEBEA for many years but also as chairman in the In Vitro Task force for Cosmetics Europe and also for ISO in the SPF In Vitro group since 2012. The ISO working group 7 “Sun Protection Test Methods” was set up in 2006 and since then a lot of standardisation work has been done. First of all, the 3 historical methods, SPF, UVA in vivo and UVA in vitro were modified slightly and published by ISO in 2010, 2011 and 2012 respectively. In 2016, a systematic review of the SPF in vivo was launched, followed in 2017 by the in vivo and in vitro UVA methods. At the same time (2016), the validation process of in vivo water resistance began. During the last ISO meeting, at the end of 2018, two new SPF methods (HDRS and SPF in vitro double approach) were approved as new work items. All of these systematic reviews and the new methods will be published and available between 2019 and 2021. Dr Gerald Renner was born in Graz (Austria) in 1967. His basic scientific training was in engineering chemistry at the Technische Universität Graz, where he graduated in 1993. After that he specialised in biochemical engineering and worked for his PhD at the Technische Universität Graz, and the Ecole Polytechnique de Montréal. He finished his doctoral studies on the bacterial production of biodegradable plastics in 1996. After additional courses in animal cell culture techniques and immunology at the Université Libre de Bruxelles, he joined the Colipa scientific department at the end of 1996. Since 2001 he is Cosmetic Europe’s Director of Technical Regulatory Affairs. •	Management of Cosmetics Europe’s activities in the implementation of the new EU Cosmetics Regulation (having previously co-developed and co-ordinated Cosmetics Europe’s technical input to the legislative codecision process). •	Application of the EU Cosmetics Regulation and its technical adaptations with an emphasis on ingredient defence and borderline of cosmetics to other EU legislations (e.g. REACH, Biocides, RAPEX). •	Responsibility for Cosmetics Europe’s international alignment activities (China, Russia ICCR, ISO) and implementation of international dimension as a key component into all technical regulatory activities. In 1976 the EU took a conscious decision to include sunscreens in the scope of the harmonised cosmetics legislation. Whilst going against the trend of treating such products as drugs, the approach has proven to be very successful both from perspective of public health and consumer protection. Innovation has come very far since then and UV protection is no longer limited to primary sun protection products. 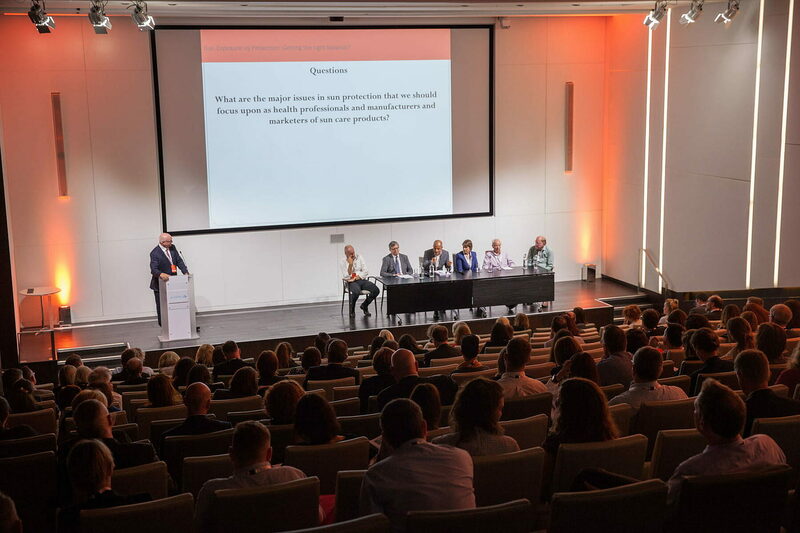 The presentation will look at the original reasoning and logic of the EU regulatory approach and will asses whether it is still adequate today to manage the whole range of products offering UV protection. Graduated from University Paris VII in 1997 and holder of a Master of Science (MSc) in Biology, Pascale RENOUX started her career in Aster-Cephac (CRO) in the Photobiology Department. For 18 years, she held successively various positions including as Head of Photobiology Department during 8 years. She joined L’Oréal in 2016 as Head of Photoprotection Evaluation for skin care and make-up products and manages all internal photoprotection testing. She contributes also in the development and the consolidation of the CRO working to ensure an optimal quality on photoprotection and UV induced testing and participates closely with FEBEA association to the common audit program. Dr Mathias Rohr gained a Physics degree from the University of Göttingen in 1988, and followed this in 1991 with a PhD in Physics / Biophysics at Max Planck Institute (MPI) für Strahlenchemie/Mülheim-Ruhr Germany (Scholarship of the Alfried Krupp von Bohlen und Halbach Foundation). In 1991-1992 he completed a Post doctorate at the MPI für Strahlenchemie, Department for Biophysics. Since 1992 he is an employee at Institut Dr. Schrader Hautphysiologie / Holzminden Germany. He is responsible in particular for SPF-Testing and Research in the field of Biophysical Methods in Skin-Science, routine Skin Surface Analysis and all skin physiological testing. •	NIR-RS (Near InfraRed Remission Spectroscopy) (IFSCC Applied Research Award 2004). The new HDRS technique presents for the first time a non-erythemal in vivo approach to SPF. Reflectance measurements on the skin in combination with in vitro transmission measurements offer the possibility of a direct measurement of SPF, UVA-PF (in vivo/in vitro) or Critical Wavelength. Based on a huge set of individual data and ring-test studies the new reflectance technique moves to the next stage of ISO-procedures. Currently under development, ISO 23698 will cover the HDRS New Work Item. SPF and/or UVA testing will no longer be a test with ethical concerns. By this, we expect the first real change in SPF testing for many years of erythemal driven UV-testing in vivo. Eduardo Ruvolo is Global Medical Affairs Director for Suncare and Skincare at Bayer US. Eduardo has a Bachelor and Masters Degree in Theoretical and Applied Physics from the University of Sao Paulo, Brazil. Trained as a biophysicist with diversified industrial experience in the physical and life sciences, Eduardo Ruvolo has developed and delivered scientific substantiation for new claims, mechanism of action of new active ingredients along with compelling communications to many different professionals across this area of expertise. Eduardo started his career in Brazil and moved to the United States in 2001. Eduardo has extensive research experience in cosmetics, skin bioinstrumentation, medical devices and the effects of long UVA and visible light on skin. His field of expertise includes clinical efficacy studies, claim support, sun protection, light-based therapies, anti-aging, spectroscopy and image analysis. Eduardo is a member of the US Sunscreen Task Force and ISO/TC 217/WG 7 (Sunscreen Methods) representing ANSI leading the Cosmetics Sun Protection ISO Test Method: Measurement of the Sunscreen Efficacy by Diffuse Reflectance Spectroscopy (HDRS Method). In the past few years, more attention has been given to the effects of visible light (VL: 400-700 nm). Visible light (VL) has been reported to induce both transient pigment as well as long lasting pigmentation induction on human skin. Pigmentation induced by VL may persist up to 8 weeks, and the amount of pigment produced is dependent on the total dose of light. In addition, VL can induce significant reactive oxygen species (ROS) production, and this ROS can be inhibited, shown in several in vitro and ex-vivo studies, by the addition of anti-oxidants combo in cosmetic formulated sunscreens. Despite the use of very effective sunscreens against UV radiation, many patients with melasma and PIH have relapses of the hyperpigmented lesions after the summer period. It is also unknown how effective anti-oxidants and quenchers, in vivo study, are in providing clinically relevant protection in the visible part of sun spectrum. In this work, we will present an in vitro model to predict the protective effectiveness of pigments that absorb the visible part of the spectrum when applied topically on skin. This model is analogous to the in vitro SPF. The model utilizes a proposed IPD action spectrum in the visible portion of the spectrum and the irradiance of a visible light source used in the clinical studies to derive the protective index for visible light protection. Based on the protective in vitro index for visible light we will be presenting two approaches to assessing visible light protection using a topical product containing absorptive pigments. One method determines a protection index – similar to an SPF value, for visible light only using a pigmentation endpoint. A second method uses multiple exposures and measures the magnitude of the suppression by the protective topical formulation compared to an unprotected area simulating daily exposure. To understand how effective anti-oxidants and quenchers can effectively suppress the effects of ROS induced by VL+UVA1 on human skin, the results from a clinical study using an antioxidant/quencher complex will be presented. Terry Slevin is one of the foremost experts on public health research and health promotion. Mr Slevin is a regular media commentator on all aspects of public health and cancer, ranging from causes and early detection, to broader chronic disease prevention. Specific areas of expertise including skin cancer prevention and sun protection, nutrition, physical activity, weight control, alcohol, workplace cancer risks and environmental carcinogens. Until April 2018 he was Director, Education and Research at Cancer Council Western Australia where he had worked since 1994. Mr Slevin holds a Masters of Public Health (University of Sydney) and an Honours degree in Psychology (University of Newcastle). He is Adjunct Professor in the School of Psychology at Curtin University an Adjunct Professor in the College of Health and Medicine at the Australian National University. He is a Fellow of the Public Health Association of Australia and was previously Vice President (Development) of the Public Health Association of Australia. 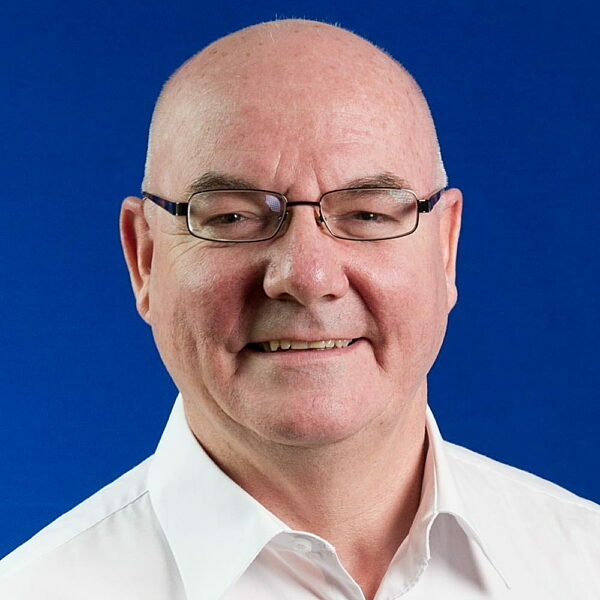 As well as serving as Chair of Cancer Council Australia’s Occupational and Environmental Cancer Risk Committee, Mr Slevin has previously chaired Cancer Council's Skin Cancer Committee and was founding Chair of Nutrition and Physical Activity Committee, where he served for 10 years. He is the editor of a book on skin cancer Sun, Skin and Health, released by CSIRO Publishing in 2014 and has published over 70 papers in the peer reviewed literature across a broad range of public health topics. The technical aspects of sun protection are without doubt becoming more complex. Those complexities, combined with industry and commercial pressure, cultural and social norms, government disinterest and a changing media landscape all add to the challenges of promoting effective evidence-based skin cancer prevention strategies. Despite these challenges, there is no doubt progress has been made. In 2018 skin cancer prevention was proclaimed among the “Top 10 Successes in Public Health in the Last 20 years” in Australia. After a quarter of a century of talking skin cancer prevention, there are some lessons that can be learned when it comes to communicating skin cancer prevention messages. Sunscreen Secondary Claims- Market Differentiation or Consumer Confusion? John comes from a background of over 50 years experience in the pharmaceutical and healthcare industries. He spent over 15 years with Soul Pattinson Laboratories, the manufacturing playing various technical roles. He was also Operations Manager of Cenovis Health. John left his final position as General Manager of Soul Pattinson Laboratories to become a consultant to industry where he has spent the last 23 years. John is a Past President and Life Member of Australian Society of Cosmetic Chemists and 5 times winner of the annual award for original Australian research in cosmetic science. He serves on a number of industry representative roles with Australian Self Medication Industry, ACCORD, Therapeutic Goods Administration and Standards Australia. He has been, since 2006, Australian representative to the ISO Committee on Sunscreen Testing - TC 217 W.G.7 and is a member of CS-042 Sunscreens, the committee for development of sunscreen standards for Australia and New Zealand. John is a founding Director Dermatest, which are recognised by Standards Australia for the conduct of SPF testing. Now part of the Eurofins Group, Dermatest, under the Direction of John Staton, has been conducting SPF, Cosmetic, Pharma and Vet testing and skin efficacy and evaluation studies continuously since 1997. With a never ending variety of sunscreen products now offered to the consumer, marketers inevitably look for a point of difference in order to distinguish their “uniqueness”. Inevitably, product imitation will dilute this differentiation. In offering these points of difference, do we support or confuse our customers? This presentation will review the range of market segmentation and secondary claims and the most recent will be considered in terms of scientific credibility and how to approach claims substantiation. 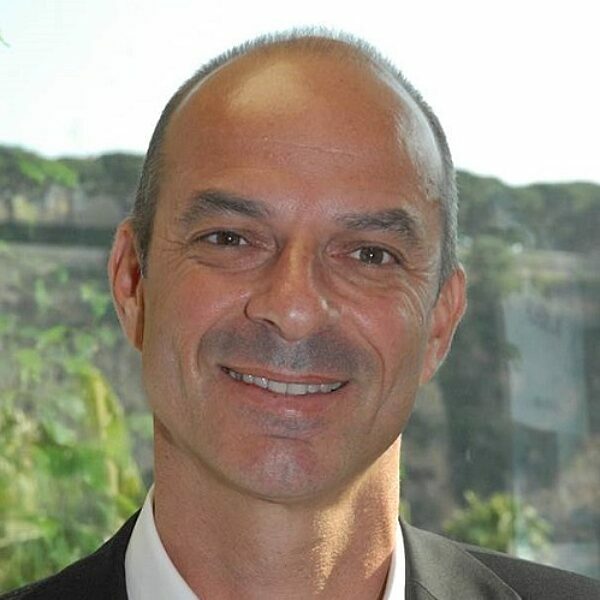 Christian Surber, Ph.D., is Professor in Dermatopharmacology and Hospital Pharmacy at the University of Basel and visiting Professor at the Departments of Dermatology in Basel and Zürich, Switzerland. His research interest and expertise are a) the development and optimisation of drug delivery from topical formulations, b) the topical vehicle design, c) the topical bioavailability/bioequivalence testing, d) the topical pharmacotherapy of barrier function impairment (dry skin, atopic dermatitis, psoriasis) and solar damage (skin cancer), e) the development of sun protective means and f) the patient and consumer adherence to topical pharmacotherapy, topical protection and care products. During his career path he served as a member the Drug Commission of Switzerland, as the chief pharmacist at the University Hospital in Basel and later as the chief scientific officer of a pharmaceutical company specialized in dermatologic products. He has been the recipient of research grants throughout his career. He has numerous publications, patents, conference presentations and reference texts covering various aspects of dermal drug delivery, topical bioavailability/bioequivalence and topical pharmacotherapy of barrier function impairment and solar damage. He supervises doctoral students and teaches as a lecturer in Dermatology and Pharmacy at the University of Basel and Zürich. framework of clinical trials. We are helping ourselves with a series of indications that unfortunately speak both for and against the preventive value of sun protection products. Within the scope of the presentation, important papers with their methods and arguments will be presented and critically evaluated. How consumers embrace sun protection worldwide and can we influence it? Jürgen collected his experience in more than 25 years working in cosmetics and cosmetic ingredient technology. He started his career as PhD in Organic chemistry with Dragoco AG, that later became part of Symrise, where he worked mostly on skin care actives and preservation systems. He then joined the Personal Care R&D at DSM Nutritional Products in Switzerland. And for more than a decade he has conducted research around UV filters, their application in sunscreens, consumer experience with sunscreens and the link of consumer behavior with the steady rise of the skin cancer incidence. His interest is in understanding how performance evolves in microscopic detail on our skin to design better protection technology and to improve sensory features of sunscreens, making them more appealing to raise the use level of sunscreens for a better consumer health. Humans, even since ancient times, tend to see the sun as the source of life, warmth, enjoyment and relaxation. As much as this is very true, for many people it is hard to believe there is also a downside of sun exposure that calls for sun protection to make skin cancer rate decrease. We were interested to learn first-hand what consumers think about sun protection and sunscreen use. We conducted a quantitative survey with 5600 respondents in eight different countries. In particular we asked about the barriers to avoiding the use of sunscreens. Surprisingly a quarter of people said they are not using sunscreens at all, but even among the users there where many people that use sunscreens only under specific conditions, even in places like Australia. We drilled down these behaviours to beliefs and drivers and compared this with research that has been made on efficacy of communication on skin cancer prevention, in order to find out what should be done better. Dr Richard Weller is an academic dermatologist at the University of Edinburgh. His discovery of the UV activated release of NO from stores in the skin and delivery to the systemic circulation has provided an explanation for the known effects of sunlight at lowering blood pressure independently of temperature and vitamin D. He has been a member of the National Academy of Sciences expert advisory group on UV and its effects on health. His work has been influential in the revision of US, Australian and British guidelines which now acknowledge health benefits from sun exposure. Joshua D. Williams, Ph.D., is a Principal Scientist in the Global Research & Development group at Johnson & Johnson Consumer, Inc since 2014. As a translational photobiologist, he brings expertise in drug development and design to the complex, multidisciplinary, and ever-changing landscape of sun care. Prior to Johnson & Johnson, Dr. Williams was an Assistant Research Professor in Biomedical Engineering at the University of Arizona where he worked with an interdisciplinary group of physicians and scientists to develop novel therapeutic agents and delivery systems with the goals of treating, preventing, and eradicating skin cancer. Dr. Williams holds a Ph.D. degree in Pharmaceutical Science from the University of Arizona College of Pharmacy. Effective sun protection is central to protecting skin from the negative consequences of overexposure to solar ultraviolet (UV) radiation. This is particularly important for individuals choosing to spend time in high intensity UV environments such as during beach vacations or sun holidays. Following up on clinical results in which SPF 100+ sunscreen was observed to provide significantly enhanced protection against UV-induced erythema compared to SPF 50+ sunscreen in the high-altitude recreational ski setting, the comparative efficacy of the same two sunscreen products was evaluated in the beach vacation setting. In a split-face/body evaluation of 55 subjects conducted over multiple days, SPF 100+ sunscreen was again observed by both clinical and instrumental assessment to be significantly more protective than SPF 50+ sunscreen against sun-induced erythema and pigmentation. This allows for the protective efficacy of sunscreens to be directly compared across different high-UV exposure settings and facilitates a discussion about product use, solar conditions, and sun exposure behavior. This actual-use, comparative efficacy data obtained in natural sunlight provide additional evidence that high SPF sunscreens impart significantly enhanced protection against UV-induced skin damage where risk of overexposure is greatest. Caradee Wright is a Senior Specialist Scientist at the South African Medical Research Council leading the Climate and Health Research Programme. She is also an Adjunct Lecturer at the University of Pretoria, Research Associate at Nelson Mandela Metropolitan University and Associate Professor at the University of Johannesburg. She holds a PhD in Public Health from the University of Otago (New Zealand) and an Masters in Geography and Environmental Management from the University of Natal (now UKZN). Her research focuses on environmental health in Africa, including personal solar ultraviolet radiation exposure and skin cancer prevention, personal dosimetry, health risk assessment and air pollution-related exposure, disease measurement and prevention. Caradee is a member of the South African Young Academy of Science and was co-chair of this organisation from 2011-2013. She is a member of the Global Young Academy, past Vice-President of the National Association for Clean Air, Co-Editor of the Clean Air Journal and is a National Research Foundation of South Africa Rated Researcher. Non-communicable diseases as a cause of death is on the rise globally and in South Africa. In 2015, about 60% of the ten leading underlying natural causes of death were non-communicable diseases, including cancer. Melanoma was ranked 3rd among white South Africans but did not feature in the top five cancers among any of the three other population groups. The complexities of preventing skin cancers in countries with multi-ethnic populations and with wide disparities in inequality, wealth, health and access to health services are challenging. Stark differences exist in the epidemiology, and probably aetiology, of melanoma in the population groups of South Africa. Risk factors vary among population groups and include sun exposure, trauma, human immunodeficiency virus infection, oculocutaneous albinism, age and genetics. Stage of melanoma diagnosis tends to be more advanced in black Africans than in white South Africans and survival rates are considerably lower in Black Africans. Several factors probably contribute to these disparities and there are two important gaps to fill with respect to all six skin phototypes. First, we need to develop evidence-based messages for primary and secondary skin cancer prevention suitable for children, adolescents and adults. Second, we need to address the lack of training for diagnosis and treatment of skin cancers among healthcare professionals in public healthcare settings. Crafting responses to these two actions requires an holistic approach. Professor Young has been involved in research on the effects of ultraviolet radiation (UVR) on human skin for the past 25 years. The European Commission (EC), UK Department of Health, UK Medical Research Council, research charities and industry have funded this research. Professor Young has a long-standing interest in photoprotection, and is also currently working on vitamin D, the photobiology of different skin types and the development of natural marine sunscreens – mycosporine like amino acids (MAA). He was recently the coordinator of a 4-year EC €3.5-million research project, within its Framework 7 Environment and Climate Change Programme, entitled “The impact of climatic and environmental factors on personal ultraviolet radiation exposure and human health (ICEPURE)”. This multi-national project assessed the beneficial and detrimental health impacts of UVR in field studies of human populations in work and leisure situations in different European countries. Professor Young is an active member of the European Society for Photobiology (ESP) and the American Society for Photobiology (ASP), and was the winner of the ASP 2016 Research Award. He has been chairman of the British Photodermatology Group (BPG), a faculty member of the American Academy of Dermatology (AAD), and is currently an associate editor of Photodermatology, Photoimmunology and Photomedicine and section editor of the Journal of Dermatological Science. Professor Young is also a member of the United Nations Environment Programme (UNEP) - Environmental Effects Assessment Panel. should allow the design of sunscreens that maximize the beneficial effects of solar exposure while minimizing the risks.